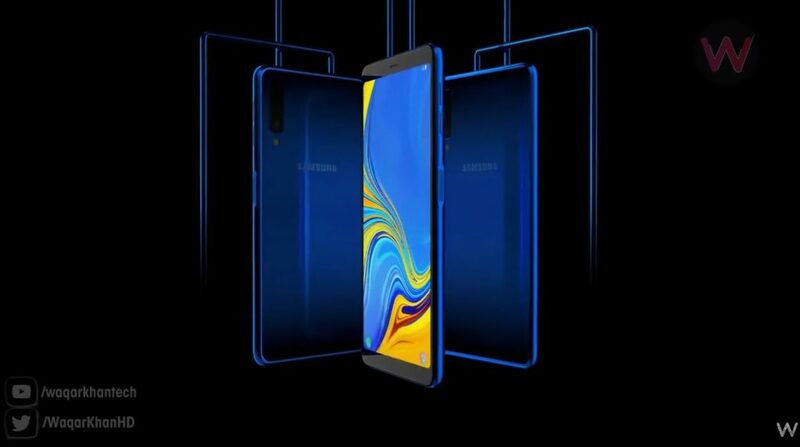 Samsung Galaxy A9 (2018) inaugurated the 4 camera trend and we’re sure we’ll see it several more times in the coming year. 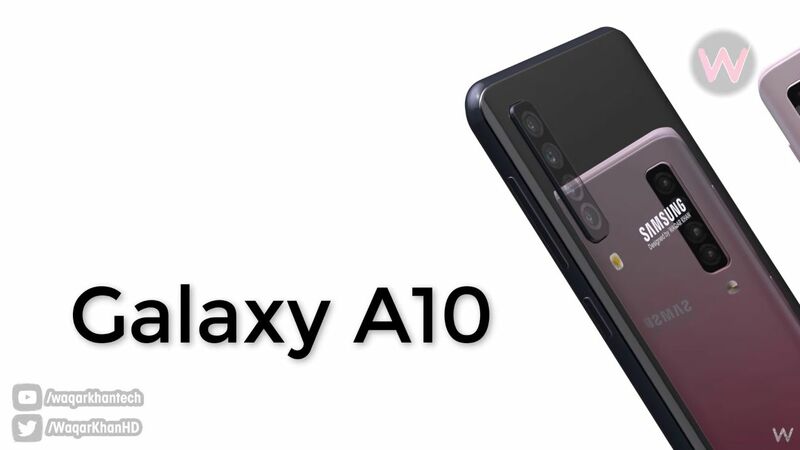 Samsung Galaxy S10 itself is said to have a 4 camera version, but till then we have a Galaxy A10 concept for you, courtesy of Waqar Khan. Let’s check it out. 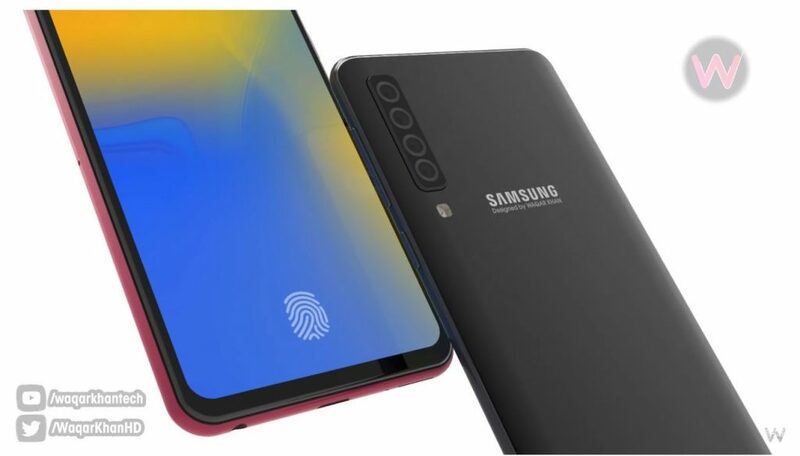 Judging by the features the name should be more like Samsung Galaxy A10 (2019). 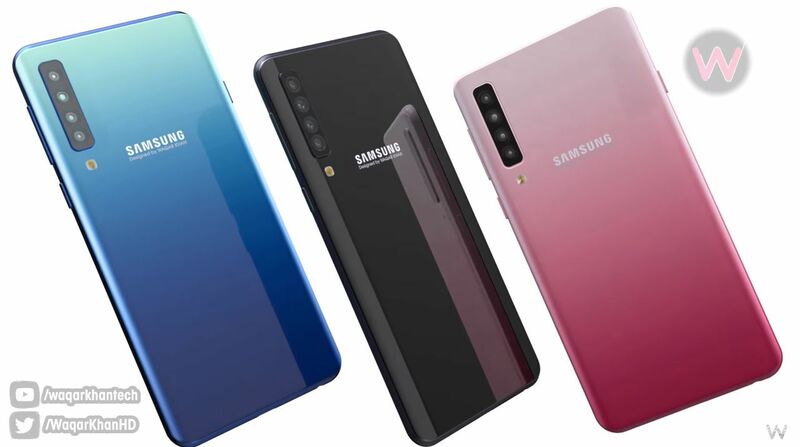 Like its predecessor the device has 4 back cameras and also funky hues of the back side. I see that the Lemonade Blue is here to stay, also the Bubblegum Pink. This time we get a more powerful CPU, the Snapdragon 845 plus an in display fingerprint scanner. It’s got glass at the back, glass at the front and a metal frame in between. The device is rather long and massive, like its predecessor, probably rather heavy too. 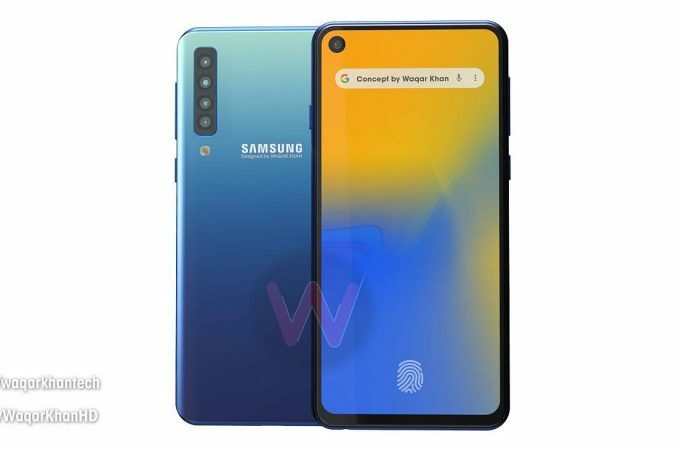 As expected, it has the new format of notch, a mere hole in the screen panel for the selfie camera. Having used the Samsung Galaxy A9 (2018), I know exactly which features need to change. First of all, the battery life was superb, so keep it that way. 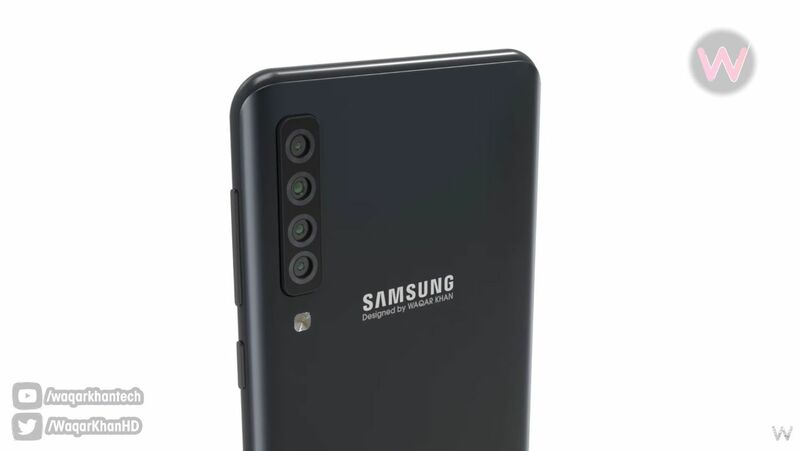 Then I’ll say that the 4 back cameras need a switch. The tele one didn’t provide a satisfying zoom, the Bokeh one was Ok-ish, but the main one and the wide angle one were quite solid. So, we need a better zoom/tele camera, basically and an improved Portrait capture system.